Newfoundland Colony was the name for an English colony and later British colony established in 1610 on the island of the same name off the Atlantic coast of Canada, included in the modern-day Canadian province of Newfoundland and Labrador. This followed decades of sporadic English settlement on the island, at first seasonal rather than permanent. It was made a crown colony in 1854 and a Dominion of the British Empire in 1907. In 1949 it joined the Canadian confederation as the Province of Newfoundland. In 2001 that was changed to the current jurisdiction. The English encountered the Beothuk indigenous people on the island of Newfoundland and in the region. They gradually became extinct as a people, as they suffered from new infectious diseases carried by the colonists, to which they had no immunity and the loss of habitat due to English and French settlement. From 1610 to 1728, proprietary governors were appointed to establish colonial settlements on the island, as England tried to create North American footholds. John Guy was governor of the first settlement at Cuper's Cove. Other settlements were Bristol's Hope, Renews, New Cambriol, South Falkland and Avalon, which was organized as a province in 1623. The first governor given jurisdiction over all of Newfoundland was Sir David Kirke in 1638. During this period, France had also established settlements in the region, particularly to the west in what is now Quebec. It had strong trading ties to many of the First Nations along the Atlantic Coast, including the Mi'kmaq and other Algonquian-speaking peoples. The rivalry between England and France in Europe was played out in conflicts in North America, where they struggled for predominance. This was particularly true in Newfoundland, where the English colonial settlements on the eastern coasts were in close proximity to the French claims in Southern Newfoundland, which the French dubbed Plaisance. The Newfoundland colony was nearly obliterated during the Avalon Peninsula Campaign of King William's War. In 1696 the French and allied Mi'kmaq armed forces wiped out all but a handful of English settlements on the island of Newfoundland. Over the next year, the English repopulated and rebuilt the colony. The Treaty of Utrecht in 1713 ceded all of Newfoundland to the British Crown. Given the Newfoundland colony's isolation from the more southern British Thirteen Colonies in North America (and also from the still loyal colony of Nova Scotia, which provided a buffer), it did not become involved in their colonial rebellion of the 1770s. After the American Revolutionary War ended in 1783 with the independence of the United States, Newfoundland Colony became part of British North America. The Crown resettled some Loyalists in Newfoundland, but most were given land in Nova Scotia and present-day Ontario. It became an official crown colony in 1825, and Thomas John Cochrane, an officer of the Royal Navy, was appointed as its first governor. He directed the construction of Government House, which is located between Fort William and Fort Townshend. It has been designated as a National Historic Site of Canada. The colony was granted a constitution in 1832, and Cochrane became its first civil governor. The colony was granted self-governing status in 1854. Philip Francis Little was the first Premier of Newfoundland Colony between 1855 and 1858. 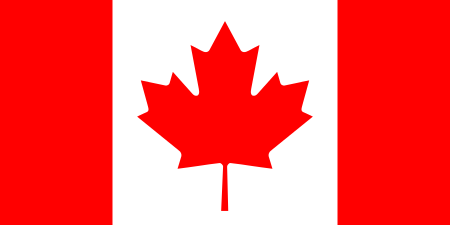 The colony rejected confederation with Canada in the period of 1864-69. In 1907, Newfoundland became the Dominion of Newfoundland, a Dominion of the British Empire. Due to economic hardship in 1934 it suspended its self-government and accepted temporary rule by a royal commission. Together with Labrador, an area on the mainland, it confederated with Canada in 1949 as the province of Newfoundland. In 2001 that was amended to rename the province Newfoundland and Labrador. ↑ "Newfoundland and Labrador". World Statesmen. Retrieved 9 November 2015. ↑ Government House. Canadian Register of Historic Places. Retrieved 8 July 2012. ↑ "The Debate: Confederation Rejected, 1864 - 1869". Newfoundland & Labrador Heritage. Retrieved 27 August 2013.